Caring for your parents can be one of the hardest and one of the most philosophical journeys you’ll ever take in your life. As you grew older, your parents were there to take care of you. Now, as they grow older, it may be your job to take care of them. 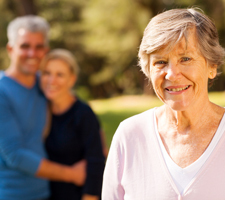 Fortunately, you and your parents have many options available to them in regards to long-term care. Many of these options allow your parents to continue keeping some level of independence and quality of life they’ve enjoyed for most of their adults lives. In order to make sure everyone’s onboard before moving into a long-term care facility, it’s important to first have a dialogue between you, your parents, and any siblings you might have. Have a gentle conversation with everyone, perhaps at the same time or individually, to see where everyone stands on the best care options. Nursing home, assisted living, or in-home care are three options you can first bring to the table. Then, everyone can discuss the financial aspects of the care, including what and/or who will help cover the costs. This can be a tricky subject, so approach it gently with relatives and loved ones. Keep in mind your parents might have retirement income and insurance that will help cover the bulk of care. Additionally, it may be wise to hold a family meeting with an elder care attorney, or you could schedule a meeting with a professional for yourself so can discover other options. 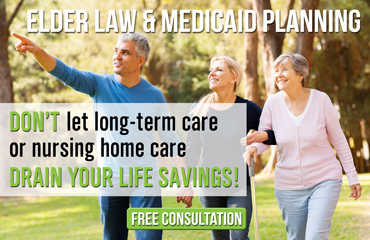 An elder care attorney or professional can help guide you on the best options available for your parents and their individual health concerns.